Cloud storage has made a strong business case, so much so that apart from SMBs and enterprises, such cloud storage services are being endorsed for personal data management as well.. Most cloud data backup services work similarly – you subscribe to the service, install a software package, adjust the basic settings, and let the program manage backups of your files. CloudBerry Backup works somewhat differently. For starters, it does not offer you any storage space and doesn’t actually store your files. Surprised? 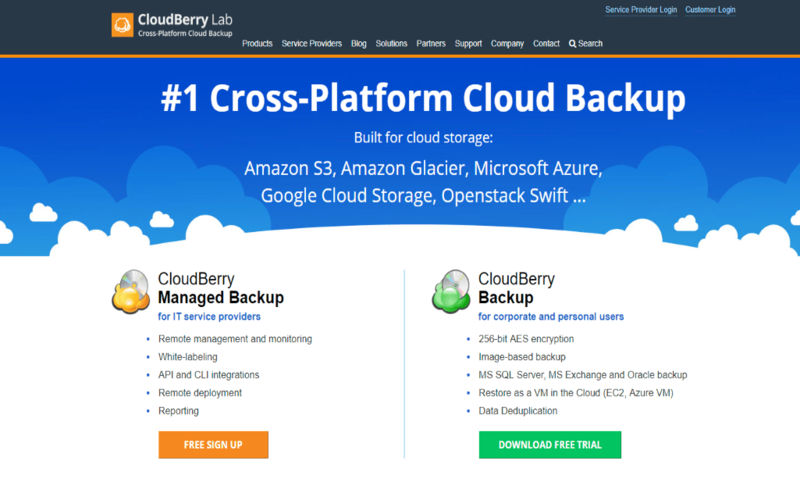 Don’t be, because CloudBerry helps you manage data backups with cloud platforms platforms of your choice, such as Amazon S3 and Amazon Cloud Drive, Google Cloud Storage and Google Drive, Backblaze B2, Microsoft Azure Storage and Microsoft OneDrive, and many others. 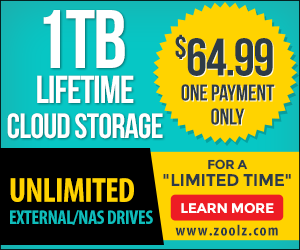 The problem with most cloud storage solutions is that these solutions can often be overwhelming for beginners and even small business IT teams to work with.. Though they offer default settings and wizards to help users with initial setups and integrations, it’s safe to say that most users find the learning curve hard to navigate. 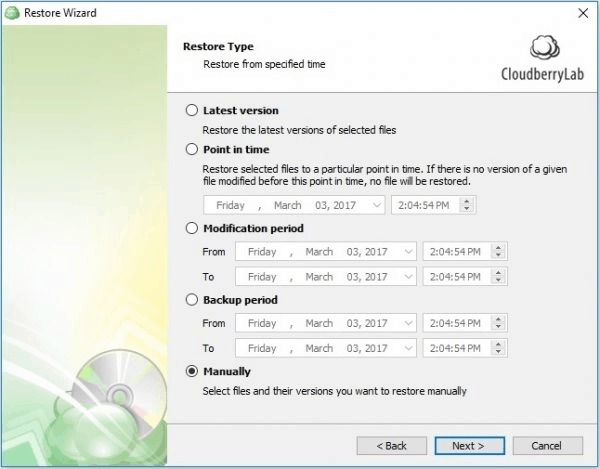 CloudBerry Backup fills this void; it’s a backup solution that works with pretty much every cloud storage provider, offering an easy to use, highly configurable, and intuitively designed interface that any computer user can easily work with. CloudBerry offers pro functionality, but you do not need to be a pro to use it. For starters, it works with 65 cloud storage services, and the list of supported services is expected to expand with time. 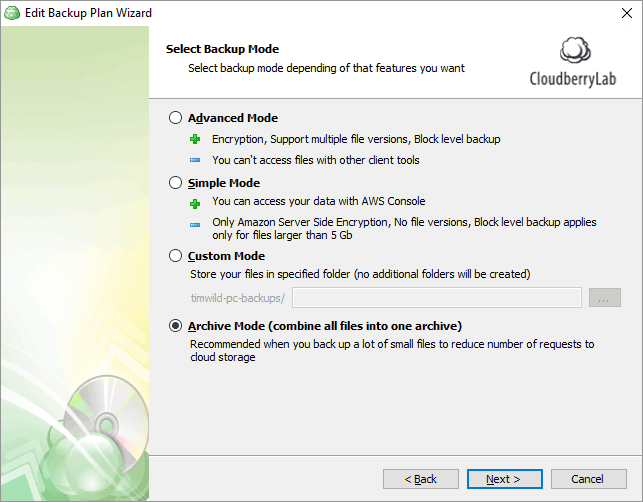 CloudBerry Backup also offers local and cloud-to-cloud backup options (the latter is pretty rare). Now cloud data backup is often overlooked, and it’s reported that almost one-third of organizations suffer major cloud data losses because of human errors. CloudBerry looks to plug all these gaps and eliminate human errors that could result from lack of knowledge of working with clunky frontend systems of major cloud storage services. CloudBerry offers several options for data encryption in its paid versions – server-side encryption (if supported by cloud storage provider) and encryption of your data directly on the computer with a high-end military state algorithms. 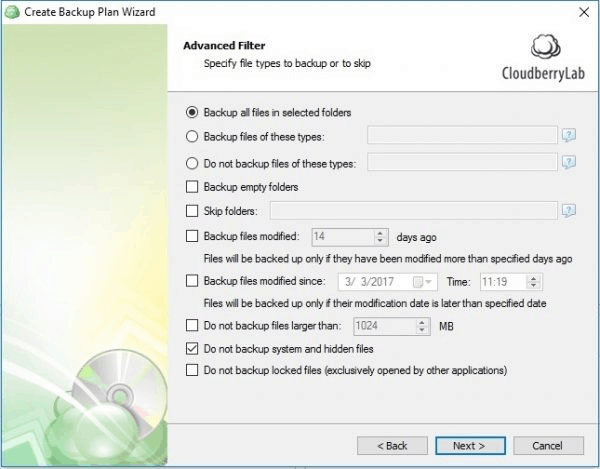 With different editions of CloudBerry software you can perform backup of Windows Server instances (MS SQL and MS Exchange included), perform image-based backup and bare-metal restore. CloudBerry emerges as the perfect solution to manage migrations to latest hardware because it enables image-based recovery even on dissimilar hardware. You can save bandwidth and space by using block-level backups, compression, and synthetic full backups. If you are working in a virtualized environment or planning moving to such environment – then you can simply restore your server images to Hyper-V, VMware, or even cloud environment such as Amazon EC, Azure VM or Google Cloud VM. That is also useful when planning disaster recovery procedures. Restore to virtual environment reduces downtime from days and hours to minutes. Here’s a catch – because CloudBerry itself doesn’t offer storage space, uploads and restorations speeds are not really indicative of the software’s capabilities, but more of the quality of cloud storage you’re using. However, the good news is that CloudBerry’s interface doesn’t have any noteworthy impact on the speed and performance you get from the cloud service provider. In fact, there are several advanced features (thread count and chunks size) that allows you to control your performance and set it right for your ISP. So, the initial setup might take some time, but the level of control you get is worth it. Moreover, the options are concentrated within a few views, which makes them easy to manage. Security: The level of security depends on the storage choice. CloudBerry offers SSL encryption for data in transit. Encryption for data at rest and source side encryption, again, depend on the storage partner. Safe to say, as far as the storage solution offers it, CloudBerry has every security control you can ask for. Support: CloudBerry’s ticket based support is pretty quick and responsive. Plus, users can get in touch with support personnel via telephone to get immediate solutions to problems that require real time support. CloudBerry offers the complete experience in its Windows version, whereas there are some limitations in the Linux and Mac versions. Full image backups, for instance, are not supported in Linux and Mac versions. However, in future releases both, Linux and Mac editions will get image-based backup. 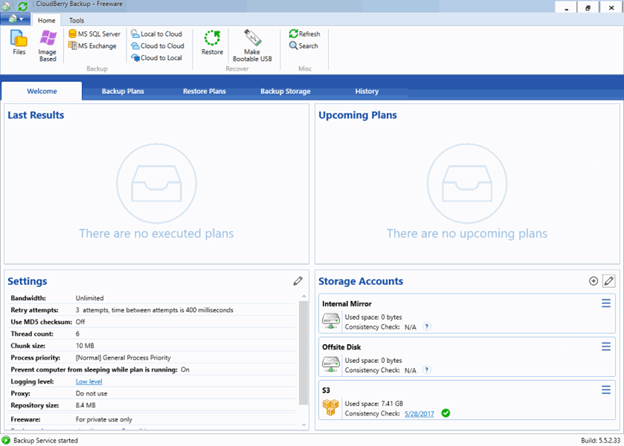 CloudBerry does well in terms of meeting the expectations and requirements of varied user sets; beginners can make use of its intuitive interface and easy settings to organize their cloud storage subscription, and business IT can use the tool to manage multiple cloud storage subscriptions, backups, and restorations.